Do you want to set up a blog and start making money? Or are you looking to have an online presence? Wondering how to launch your own website? Or are you just stuck on how set up a WordPress blog? I understand setting up a WordPress website can be a daunting task. This is why I am offering you free WordPress Installation service – inclusive of free blog setup to have your site running in no time. I will do all the installation and configuration for you, for FREE! 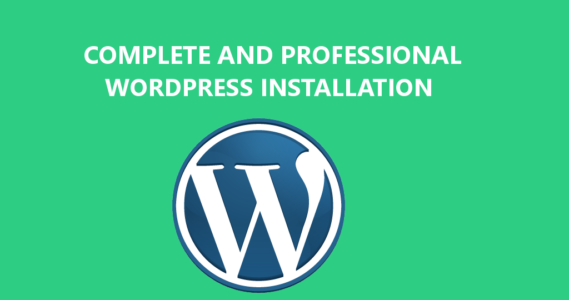 Take advantage of my free WordPress Installation service (I am an expert at this!) that includes free premium themes, installation of top plugins, and SEO configuration. Why am I offering my services for free? Because Bluehost Hosting company pays me to do it. I am an Affiliate partner of BlueHost and once you signup to their amazing hosting service I will earn a commission. It’s a win-win for all of us. Unlimited bandwidth, Unlimited Domain Hosting, Unlimited Hosting Space, Unlimited file transfer, Unlimited email accounts. Best customer service. Class-leading fast 24/7 support. Their support is always there when you need assistance. They have high reliable servers to make sure your site is accessible anywhere in the world at fast speed. How do I claim my free WordPress installation service? It’s simple. Simply enter your preferred domain in the form below and proceed to registration. Remember the domain will be yours free for life so it has to be unique. Once you are done with registration contact me or email contact(at)daringabroad.com and I will promptly proceed with the setup. Join Bluehost now and get a FREE domain name.